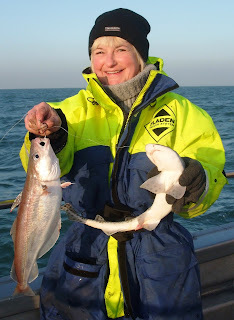 The winter cod and whiting fishing continues to be exceptional between the Isle of Wight and the slate beds off Swanage. 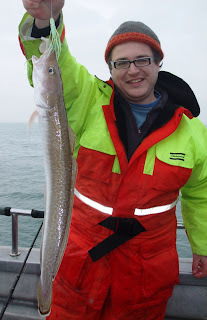 There are good numbers of whiting to 3lb and as usual plenty of dogfish and pouts. What most anglers want is a winter cod. This year’s catches have been three times 2008 with the average fish around 10lb. These are the same school that were on the brittle starfish 25miles south of Poole this summer. I expect that they will be in the same location again this summer but expect them all to be in the 10-15lb range. 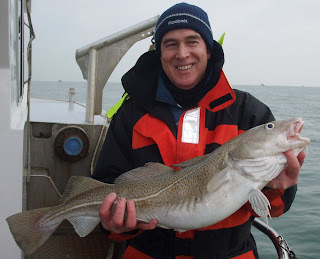 As well as cod there are congers to 50lb, bass to 10lb, ling and large pollack swimming with the cod.